Automotive industry happens to be a leading economic sector when it comes to revenue. The industry includes companies and organizations that are involved in designing and developing, manufacturing, marketing and selling of motor vehicles. 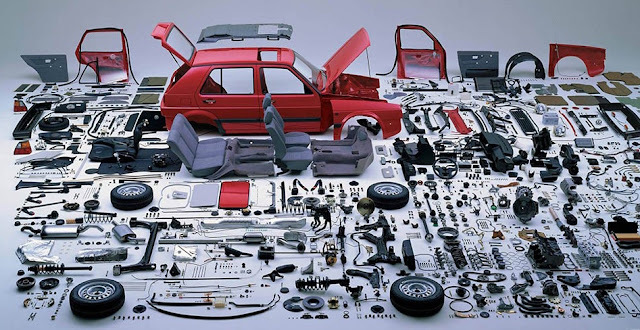 Companies in the automotive sector produce and manufacture car spare parts along with the accessories other than engines and its parts, tyres, batteries and chassis. However, the assembling of these parts do not belong to this ever growing sector. To make it simple, the manufacturers basically supply and produce parts and accessories in order to enable the OEM manufacture a complete vehicle and replacement components for dealerships. Over time, the online sale of automotive parts have seen a great change and earned a good profit online through B2C sales. This growing trend is expected to display a huge development and growth through online channels in India and other developing countries. Furthermore, the contribution of online portals like Amazon and Flipkart has improved the sale of retailers. There are various players such as boodmo.com that has entered the market working as a proper and conventional automotive online retailer. Online buying has proved to be the most convenient way of purchasing and for the same reasons, it has raised the game for auto spare parts. It is not only boosting the sale of car parts and accessories, but also driving the industry to a different level. As per the data given by researchers, it is found that online selling has attracted new buyers to buy automotive spare parts in major countries of Europe and Asia. Online buying is seeing a growing graph for sector. This clearly states that the impact of brochures, ads and commercials is not greater as compared to the influence of online retailing and internet. Some of the current marketing trends like ‘the rise of new channel’ has the potential to transform the industry on a global scale. Trends like ‘Customer-Product-Channel fit’ can possibly increase the industry turnover. Furthermore, bringing innovation in materials, usage of upcoming materials and future engines can directly impact the industry. Three things need to be explored by the industry; establishment of new technologies, produce parts which are sustainable and materials used need to be environment friendly and most importantly price should be justified.